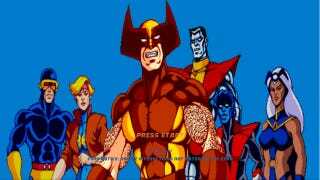 If you've read that Konami's arcade classic X-Men is getting a timed exclusive on Xbox Live Arcade, fear not, PS3 owners. Well, PS3 owners in North America anyway, where the game's coming out a day earlier on PlayStation Network. A Konami rep verified for Kotaku that X-Men is out Dec. 14 on PSN, Dec. 15 on XBLA, and will cost $9.99/800 Microsoft points. Reports elsewhere have said the game will have a two-month exclusive on the 360 in Europe. The spokesman couldn't speak for that region. When it was originally revealed at Comic-Con New York, Konami's only release date was "this year." So this beats the deadline by a couple weeks. Armed with that knowledge, go - and save the city! Next week of course.